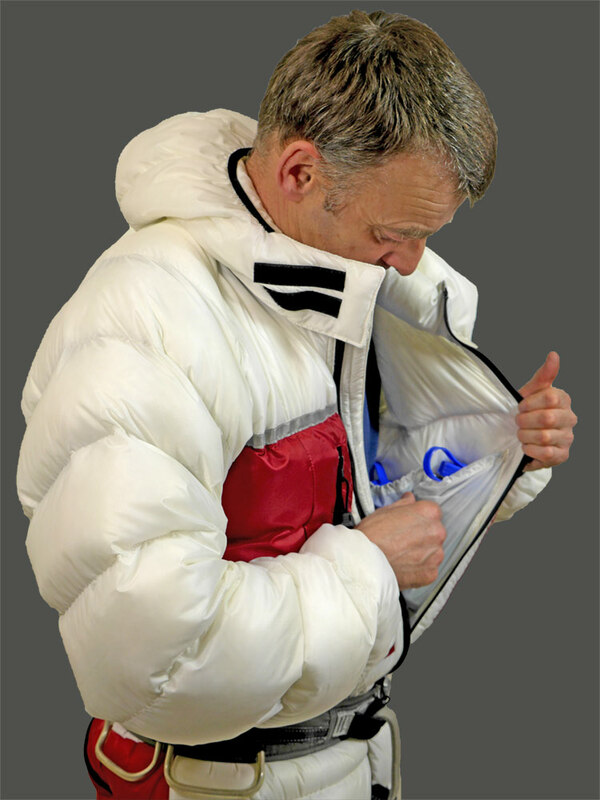 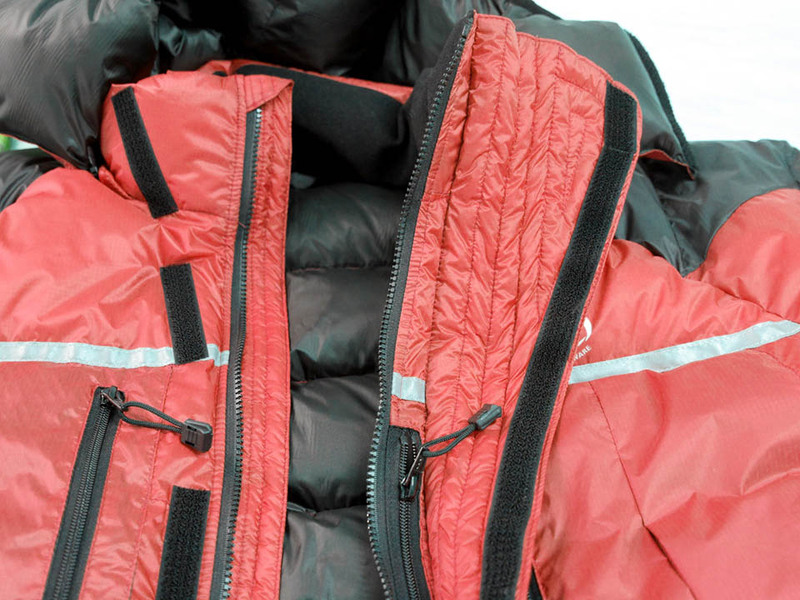 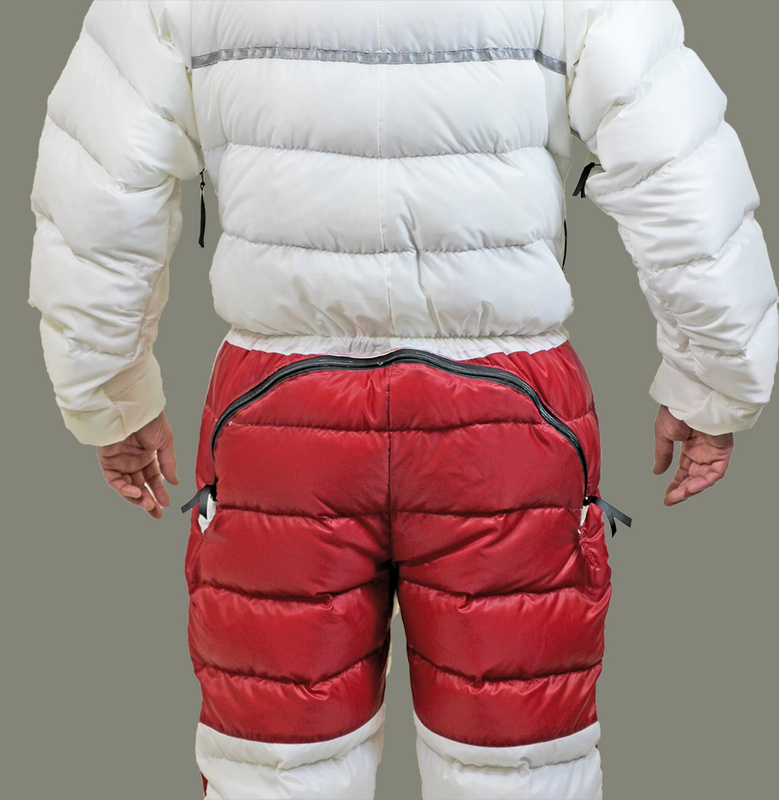 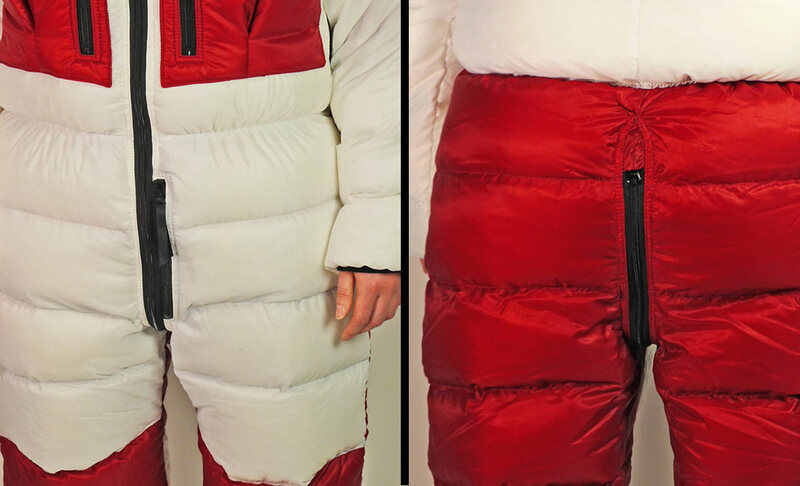 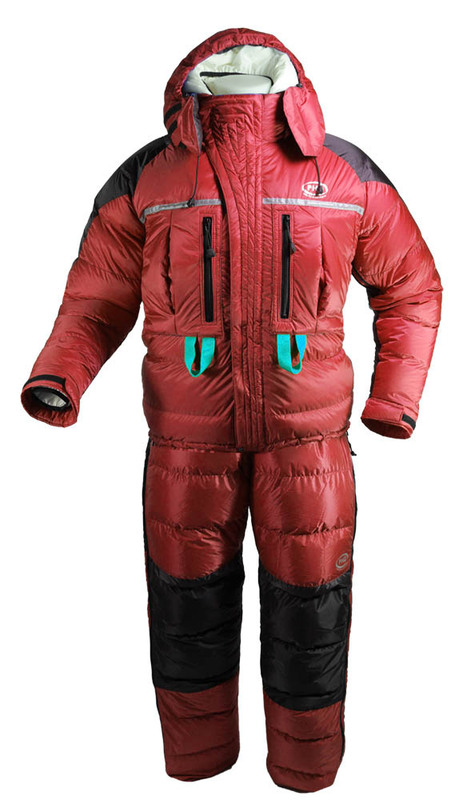 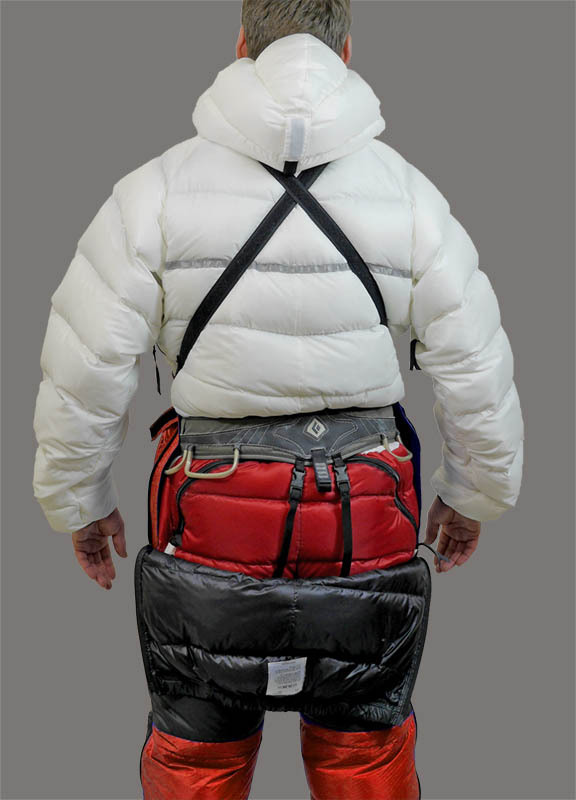 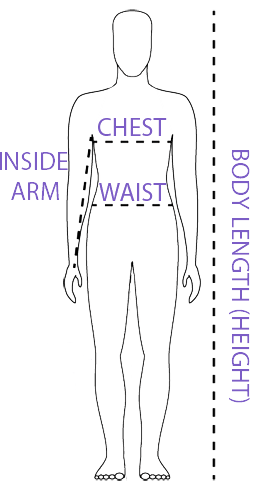 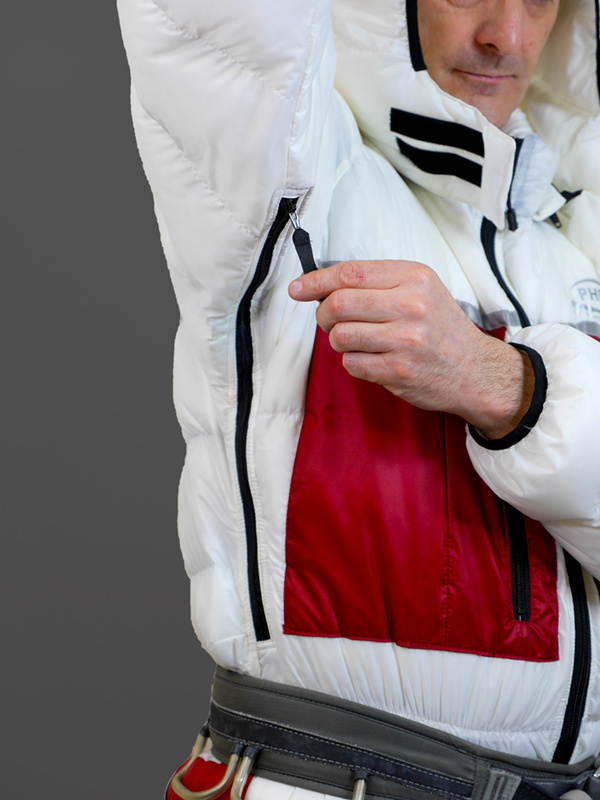 A lighter version of this suit is also available with a typical operating temperature of -35°C (-31°F). 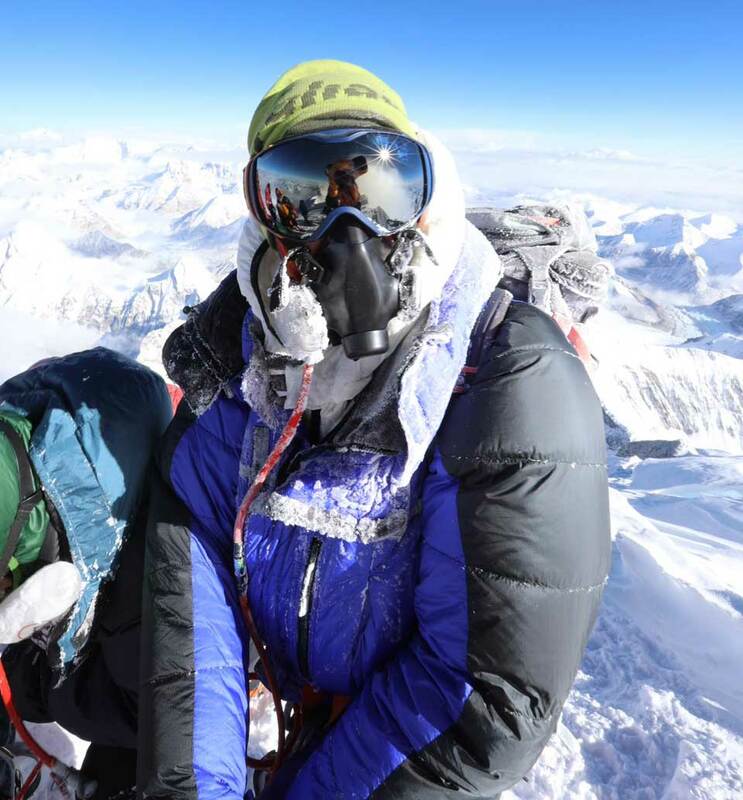 For no-oxygen ascents of 8000m peaks we recommend the warmer version you are looking at on this page. 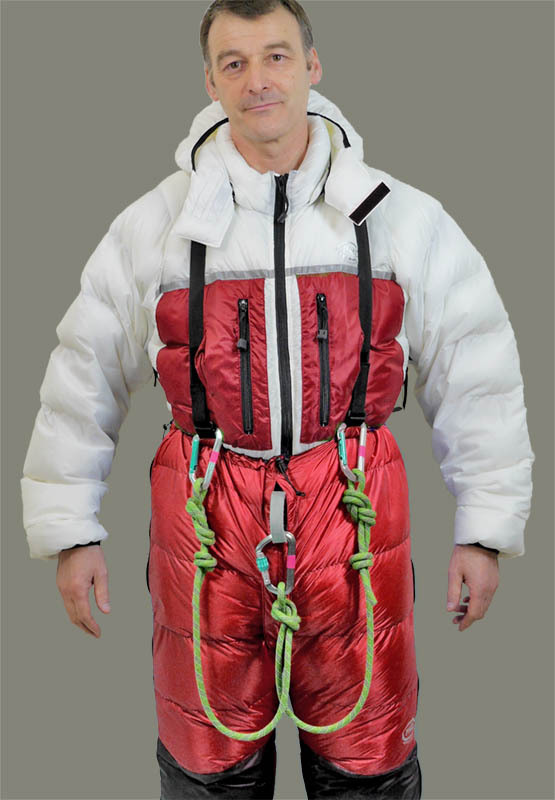 "This strikes me as a leap forward in the down suit concept. 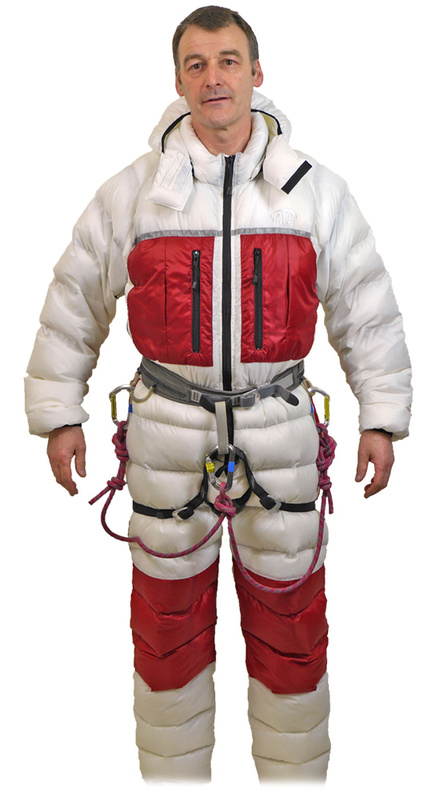 I'll be wearing the suit combo to the summit of Everest as I endeavour to take over 350 photos to be able to create the first 360°x180° gigapixel sphere. 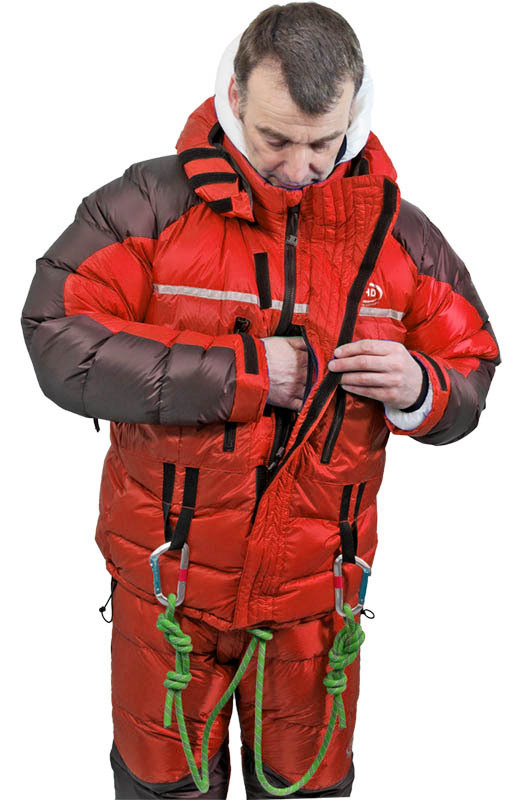 The process can take up to 45 minutes ... which on the summit of the BIG hill means you need to be equipped with the best gear that money can buy. 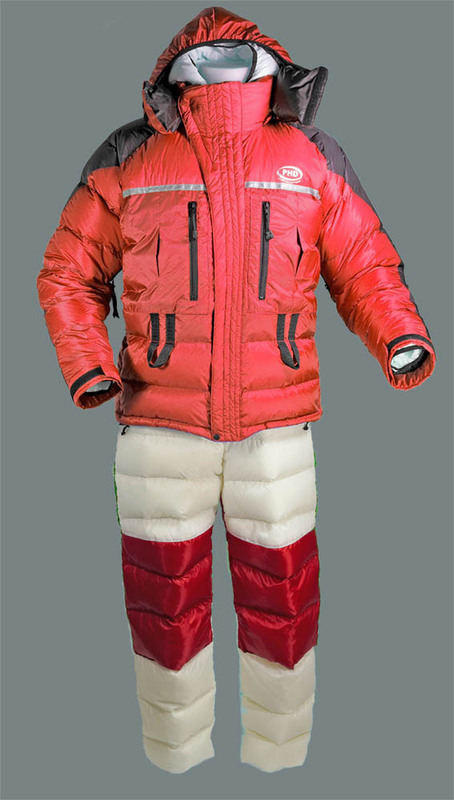 I'm honoured to be flying the flag for PHD safe in the knowledge that I am wearing a suit combination that will keep me roasty toasty as I am subjected to some of the harshest conditions on earth."